Though you may have only become recently aware of the healing properties of mint, the plant and its many varieties have been a go-to of herbalism for centuries. Good for everything from upset stomachs to asthma, mint is far more than a good-smelling, bee-attracting ground cover—it’s a plant with a rich history. Interestingly, mint even had a place in romantic Greek mythology. According to the myth, Minthe was a beautiful wood nymph who caught the eye of Hades (also known as Pluto). Hades’ wife Persephone became enraged with jealousy over her husband’s wandering eye and turned Minthe into a crawling plant. Hades, of course, wanted the object of his affection back but couldn’t reverse the spell. So he made Minthe smell good so that she would always be noticed and never taken for granted. Sweet-smelling it is, and with varieties that range from the popular peppermint to apple mint and even chocolate mint, there are many scents that offer a wealth of health benefits. 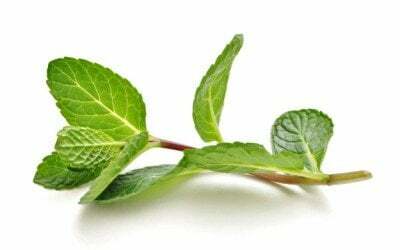 Mint is particularly effective in the treatment of digestive distress. From soothing nausea to treating irritable bowel syndrome, mint offers a natural solution for common stomach ailments. But, mint isn’t only known for its medicinal properties or its smell. Historically it was seen as a symbol of hospitality. And the origins of this use are similarly found in mythology. Again, Greek mythology holds clues to mint’s use: two strangers were visiting a village but were greeted with serious attitude. The villagers didn’t welcome them or offer them food or a place to stay. Finally, an old couple in the village invited the strangers in. Philemon and Baucus offered to feed the strangers. Before the meal, the couple rubbed down their table with mint to give it a clean and fresh scent. After receiving such hospitality, the strangers revealed themselves to be Zeus and Hermes. Zeus and Hermes turned the couple’s home into a temple and mint became a symbol of hospitality as a result. To this day, you can show your guests they are welcome by using mint in your home. Cooking with it or brewing it in a tea isn’t just a symbolic way of showing hospitality, but it could encourage better health. After all, oil of peppermint has been shown to quell stomach muscle spasms, stop the growth of MRSA (antibiotic-resistant infections) and even inhibit pancreatic cancer. The benefits of mint are many and its story has been told throughout history.